I had such a lovely, busy weekend. Started off with a 10K race at Disneyland. Fact: Running is WAY more fun when you’re wearing a tutu! Then the kids joined me for the kids’ races. DD ran 400 meters and DS ran 100 meters. 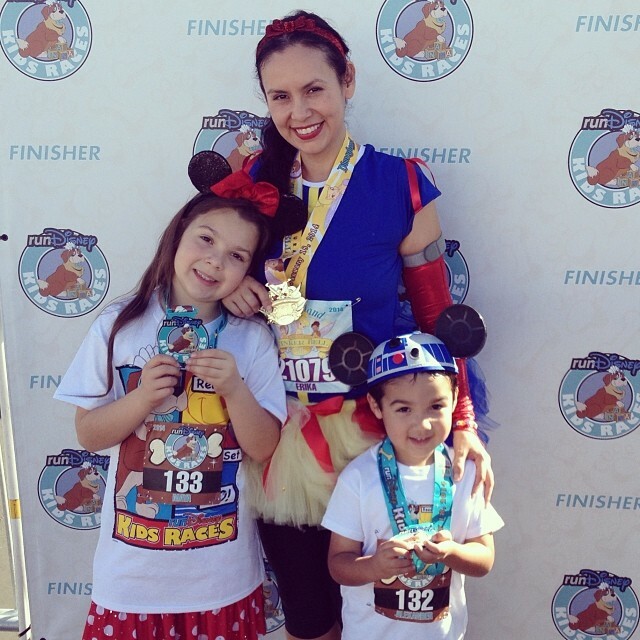 They each received a medal and high-fived Mickey Mouse at the finish line. I was smiling ear to ear the whole time. DD had her 9th birthday party at the ice rink on Saturday night. She chose a “Frozen” theme and ended the night with a ride on the Zamboni. Yesterday we took advantage of the glorious, sunny weather and went on a family bike ride: 16 miles! I’m tired and sore and very, very grateful.